RealtyTrac®, the leading online marketplace for foreclosure properties, today released its U.S. Foreclosure Market Report„¢ for August 2011, which shows foreclosure filings — default notices, scheduled auctions and bank repossessions — were reported on 228,098 U.S. properties in August, a 7 percent increase from the previous month, but still down nearly 33 percent from August 2010. The report also shows one in every 570 U.S. housing units with a foreclosure filing during the month. Default notices were filed for the first time on a total of 78,880 U.S. properties in August, a nine-month high and a 33 percent increase from July — the biggest month-over-month increase since August 2007. Despite the monthly increase, default notices were still down 18 percent from August 2010 and were 44 percent below the monthly peak of 142,064 default notices in April 2009. Default notices increased more than 40 percent on a month-over-month basis in several states, including New Jersey (42 percent), Indiana (46 percent) and California (55 percent), but were still down from a year ago in all of those states. Foreclosure auctions were scheduled for 84,405 U.S. properties in August, a decrease of 1 percent from the previous month and a decrease of 43 percent from August 2010. Foreclosure auctions hit a 37-month low in August and were 47 percent below the monthly peak of 158,105 scheduled auctions in March 2010. Despite the nationwide decrease, scheduled auctions were up substantially from the previous month in several states where the auction notice is the first public notice in the foreclosure process: Oregon (19 percent), Arizona (20 percent), Georgia (22 percent), and Colorado (51 percent). Scheduled auctions were still down from a year ago in all of those states. Lenders repossessed a total of 64,813 U.S. properties (REOs) in August, a 4 percent decrease from the previous month and a 32 percent decrease from August 2010. The REO total in August marked a six-month low and was 37 percent below the monthly peak of 102,134 bank repossessions in September 2010. Nevada, California, Arizona post top state foreclosure ratesNevada posted the nation’s highest state foreclosure rate for the 56th straight month in August, with one in every 118 housing units with a foreclosure filing during the month. There were a total of 9,677 Nevada properties with foreclosure filings in August, a 3 percent decrease from the previous month and a 28 percent decrease from August 2010. Nevada’s overall decrease was driven by a 30 percent month-over-month drop in scheduled auctions and a 6 percent month-over-month decrease in REOs. Default notices in Nevada increased 31 percent from July, but were still down 32 percent from August 2010. A 55 percent month-over-month increase in default notices helped keep California’s foreclosure rate second highest among the states in August. One in every 226 California housing units had a foreclosure filing during the month — more than twice the national average. 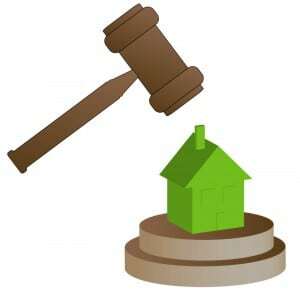 Scheduled auctions and REOs in California were down on both a monthly and annual basis. With one in every 248 housing units with a foreclosure filing in August, Arizona posted the nation’s third highest state foreclosure rate for the second month in a row. Scheduled foreclosure auctions in Arizona increased 20 percent from the previous month, but were still down 31 percent from August 2010. Arizona REOs decreased 6 percent from the previous month and were down 36 percent from August 2010. Other states with foreclosure rates ranking among the top 10 were Georgia, Idaho, Michigan, Florida, Illinois, Colorado and Utah. Five states account for more than half of U.S. total Five states accounted for 53 percent of U.S. foreclosure activity in August. Leading the pack was California, where 59,383 properties had foreclosure filings during the month. Florida posted the second highest state total: 23,569 properties with foreclosure filings in August — an increase of 5 percent from July, but still down 59 percent from August 2010. Michigan documented 13,016 properties with foreclosure filings in August, the third highest state total, and Illinois documented 12,493 properties with foreclosure filings, the fourth highest total. Georgia posted the fifth highest state total: 11,743 properties with foreclosure filings in August — an increase of 2 percent from the previous month, but still down 28 percent from August 2010. Defaults surge in hardest-hit marketsA 30 percent month-over-month increase in default notices helped Las Vegas maintain the nation’s highest foreclosure rate among metropolitan areas with a population of 200,000 or more. One in every 103 Las Vegas housing units had a foreclosure filing in August — more than five times the national average. Stockton, Calif., which ranked No. 4, was the only metro area in the top 10 that did not post a double-digit monthly increase in default notices. Stockton’s default notices increased 7 percent on a month-over-month basis in August after increasing 96 percent on a month-over-month basis in July. The remainder of the metro areas in the top 10 all posted double-digit percentage increases in defaults from the previous month: Modesto, Calif., at No. 2 (57 percent increase); Vallejo-Fairfield, Calif., at No. 3 (68 percent increase); Riverside-San Bernardino, Calif., at No. 5 (59 percent increase); Sacramento, Calif., at No. 6 (76 percent increase); Bakersfield, Calif., at No. 7 (44 percent increase); Fresno, Calif., at No. 8 (95 percent increase); Visalia-Porterville, Calif., at No. 9 (97 percent increase); and Reno, Nev., at No. 10 (23 percent increase). View detailed data for August 2011 by state. About RealtyTrac Inc.RealtyTrac (www.realtytrac.com) is the leading online marketplace of foreclosure properties, with more than 2 million default, auction and bank-owned listings from over 2,200 U.S. counties, along with detailed property, loan and home sales data. Hosting more than 3 million unique monthly visitors, RealtyTrac provides innovative technology solutions and practical education resources to facilitate buying, selling and investing in real estate. RealtyTrac’s foreclosure data has also been used by the Federal Reserve, FBI, U.S. Senate Joint Economic Committee and Banking Committee, U.S. Treasury Department, and numerous state housing and banking departments to help evaluate foreclosure trends and address policy issues related to foreclosures.